Increasing by nearly 100% since the first half of 2016 from the year-ago period, there is a buzz around the affordable housing segment after the announcement of a slew of rebates on home loans under the Pradhan Mantri Awas Yojana. However, this sudden augment of the real estate market has led to a decline in quality homes in the affordable segment. Design Forum International (DFI) felt the need to solve this problem looking beyond the buzz word and coming out with a design solution and setting benchmarks in this domain. The market potential of affordable housing projects in the country is expected to touch trillions in a few years and the demand for affordable housing is expected to remain healthy, emanating to young demographic profile, shift towards nuclear families and rapid urbanization. DFI, being the first architectural firm to get approval under affordable housing scheme by Haryana Government, has successfully delivered projects in that region and other states without compromising on quality and the facilities provided. The projects delivered by DFI were finished at a cost lower by staggering 15-25% compared to similar developments. 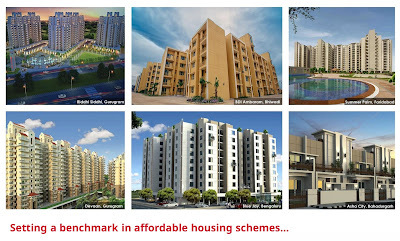 Summer Palms in Faridabad is a fine example of affordable housing projects by DFI. This project was finished at an average cost of Rs. 1,050 per square foot yet has a thoughtful and efficient landscape design, with a blend of play and leisure areas, a fully functional and aesthetic club and sports facilities. 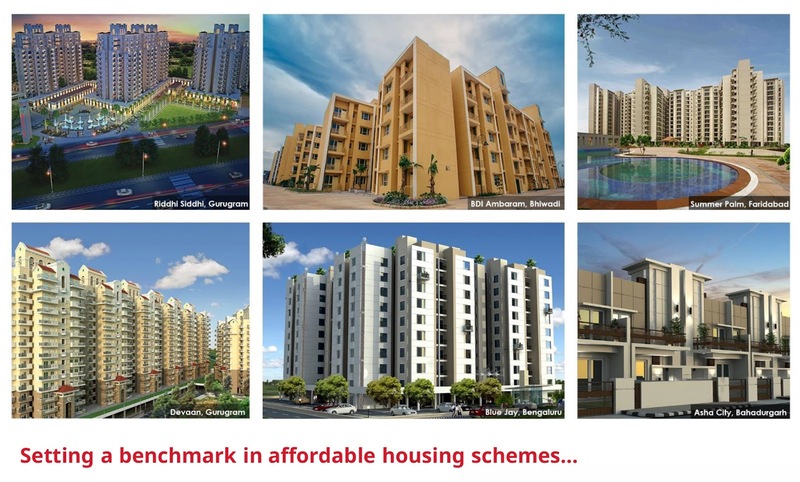 DFI takes pride in successfully delivering similar affordable housing projects across the country such as BDI Ambaram – Bhiwadi, Paradise 62 – Gurgaon, Blue Jay Housing – Bangalore, Surya Housing – Lucknow, Vibrant Township – Bahadurgarh and many more. The influx of professionals to Tier 1 and Tier 2 cities has increased the demand for affordable homes. Very often, the affordable housing schemes are equipped with substandard amenities and are designed keeping in mind the EWS and lower income sections. They are not designed for the middle working class that needs quality homes. Affordability is often misinterpreted in the Indian context, this means cost-cutting by developers that leads to the provision of a poor level of amenities provided to end user. The scheme to this should be quality with value for money. Affordable housing built under the public-private partnership model is facing limited success in achieving its purpose, i.e., reducing the existing urban housing shortage. The major reasons are the mismatch in demand and supply and location coupled with dwindling quality. Cost-Efficient quality home has all the attributes of a premium property but is affordable to a larger segment of the population. The benefit of affordable housing is in its ability to enable families to have the opportunity to live in communities close to work, education, and affordable transportation while making provision for those most at-risk in our society. The affordable luxury market is fast expanding its base to include homebuyers from the middle class. DFI, with their futuristic approach towards architecture and design, hit on ‘Concept Homes’. These homes will allow homeowners to reconfigure their home as their lifestyle and economic situation changes. Rooms can change in size and/or a complete floor may change in function. The dwelling can be reconfigured as the size of the family increases or its needs change. Foldable furniture can also be brought in to add more space and functions to a room. This, as they foresee, will bring about a revolution in the affordable housing market in India.